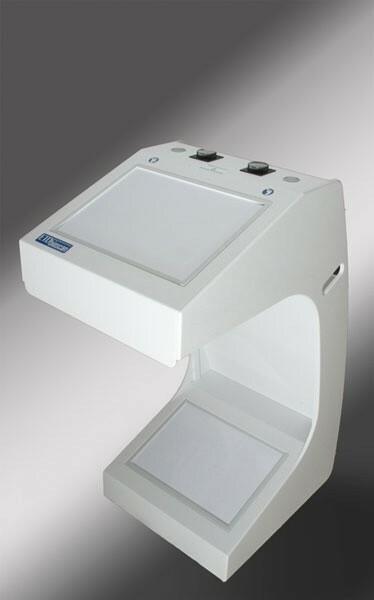 The EEA bioscan high resolution instrument is specifically designed to produce Kirlian pictures for energetic/informational evaluation according to the Esogetic system Kirlian Energy Emission Analysis. It has been designed and calibrated precisely according to Mandel’s own diagnostic requirements. The this latest model has improved an screen & greater adjustability, as well as completely new high voltage technology. Price is approximately $10,000 but is adjusted according to the euro-dollar exchange rate at time of ordering. ALSO NOTE: A new digital version of this same bioscan device is currently being developed by Esogetics GmBH. The estimated date for availability of the digital model has not yet been determined. The EEA Bioscan is temporarily out of stock. If you are interested in ordering one, please call for a consultation, in order to purchase this product.